The latest delivery of servos was not up to the quality standards that we need. We have now tested alternative manufactures and selected a new one with excellent quality. A new batch of servos is planned to be available around march 18. 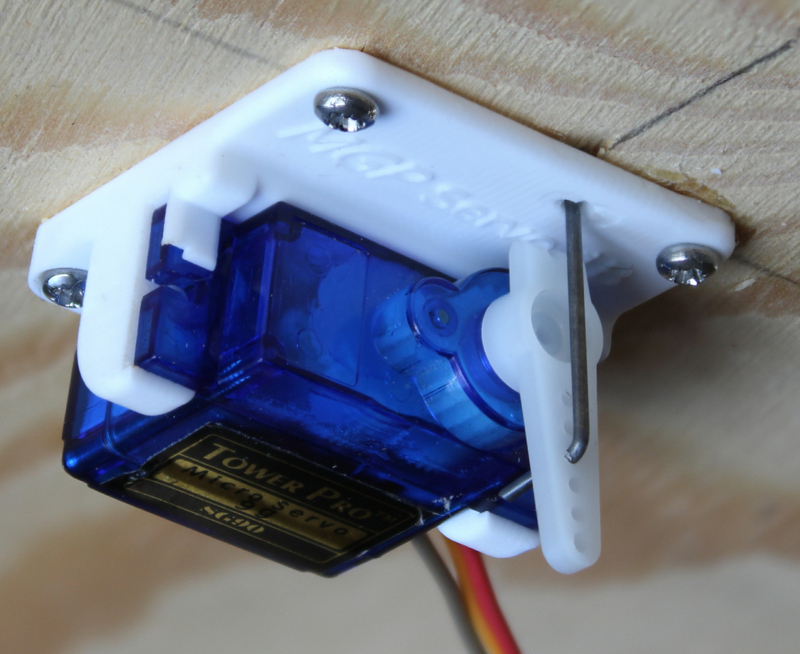 One servo with mounting to be placed under a turnout. A 3-4 mm hole is drilled under the turnout directly under the switch throwing mechanism. The minting is placed with the little hole for the wire in the centre of the drilled hole, so that the servo/wire will move the switch moving mechanism when the servo moves. The mounting is screwed in place and the servo is snapped in place. NOTE, to control, a servo some kind of electronics is needed and for this the servo decoder from MGP. can be used. 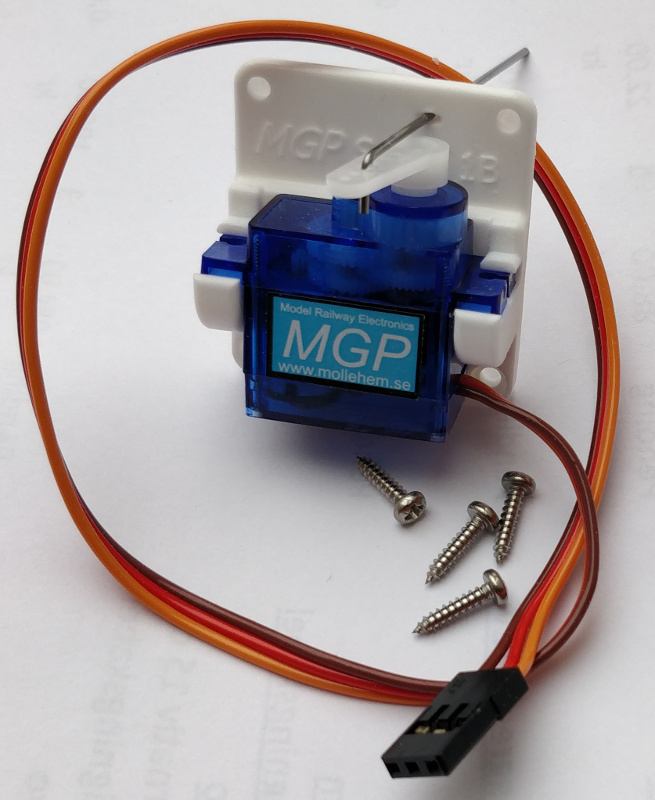 The servo is delivered complete with plastic mounting, screws and a 1mm wire to connect to the turnout. Dimensions are given in the picture below. 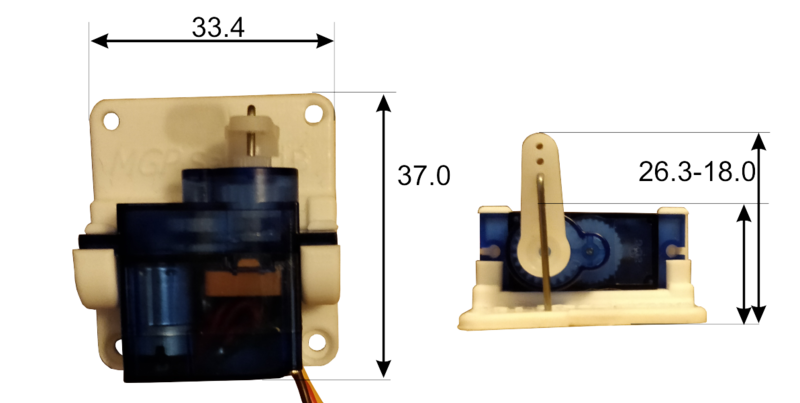 Note that the height can be adjusted by cutting the servo arm. Shorter arm also results in less angle of movement.